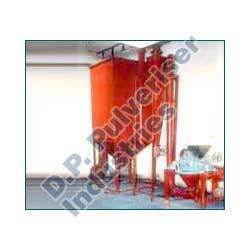 Our organization is highly reputed in manufacturing and exporting Micro Pulveriser. These are designed using the supreme quality of materials that are procured from the reliable, eminent and trustworthy organizations of the market. We use latest methodologies while developing these machines. Our products include Micro Pulveriser, D.P. Micro Pulveriser No. 2D.P. Micro Pulveriser and D.P Micro Pulverisers. We are engaged in offering D.P Micro Pulverisers to our value added clients. We manufacture this using the effective raw material that is procured from the reliable and eminent organizations of the market. These are used in various industrial applications to grind the heavy metals. Depending on the client requirements these are designed in various models. It is widely demanded for its tensile body, durability, effective performance and reliability. 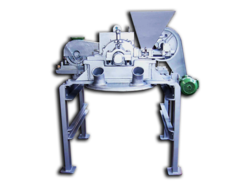 Our D. P. micro pulverizers are used in a wide range of applications like: Activated Carbon, Animal Feeds, Carbon Black, Chalk, Cocoa, Starch Dyes, Fine Chemicals, Gram Flour, Kaolin, Pigments, Sugar, etc. D.P. Micro No. 4 50 - 60 H.P. D. P. Micro Pulveriser offeredcome in precision design and construction finish and provide effective support in handling the requirements of producing fine and superfine powder of non-explosive and brittle materials including materials like calcite, limestone, bentonite and others. Further, the support of optimal performing classifier, dust cleaner, blower, crusher and other support parts also assure of delivering high efficiency working support. Some of its features include allows for decreased energy consumption; assure of long lifecycle of spare parts; provide for safe and reliable usage; allows support for adjusting final fineness of grinding materials; advanced intelligent speed control device. Looking for Micro Pulveriser ?